Every year brings loads of excitement & positive hope for everyone. So does it has bring for the tourists and the adventure lovers. The people, who love to explore different places every time, would love to visit Malaysia this New Year. Not only the hospitality industry, but the complete Tourism industry is also set to give a warm welcome to the tourists. The festive season is almost over and most of the people are back to their work, so know is the time for the adventurers and explorers to checkout different places and see the beauty of this world. So, let us see, how Malaysia welcomes its visitors and what all it offers for unveiling. If you are a nature lover and love to explore the sublime natural beauty, then you must start your trip by visiting Mulu Caves. You have to visit Gunung Mulu National Park in Malaysian Borneo to explore the incredible caves and karst formations in the cave. The mountainous equatorial rainforest setting would surely rob your heartbeats and would give you beautiful sights to know more about life and explore this magnanimous world. this spectacular sight has to be the first thing to explore in the year 2013. This Rehabilitation Centre is one of the treats for the adventure freaks. The Sepilok Rehabilitation Centre since 1964 is rescuing and rehabilitating orphaned baby orangutans from logging sites, plantations and illegal hunting. This exotic place in virgin rainforest has to be in your Malaysia itinerary. You would get the chance to explore the living style of orangutans and this would be a one in itself lifetime experience. So, according to us, this is the second best place, which you must visit on your trip to Malaysia. Perhentian Islands is one of the most beautiful islands in the world. To reach here is also very simple, you can take a bus from LCCT, Kuala Lampur, Butterworth, or various other destinations to reach here. 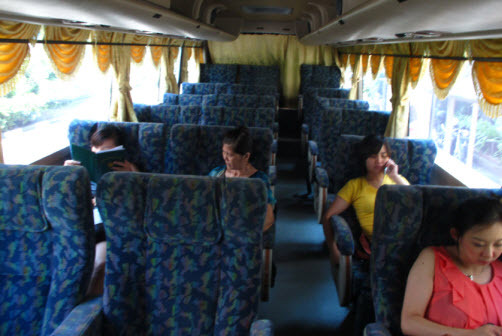 Several bus service providers offer economical bus service to reach the place. Located in northeastern Malaysia, the beaches on the Island with white sand and turquoise blue sea would make you spend out of the world moments and have a leisure time. Although it is one of the most visited holiday destination because of the exotic beauty, but still the place has loads of beautiful attractions, that a tourist would love to explore. The long and white beaches that also have jungle covered hills and craggy mountain peaks would surely make you love the place. You would also find several exotic restaurants and other eateries, where you can even serve your tongue pallet with different flavors. 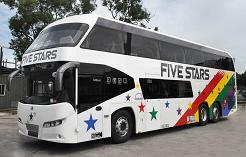 To taste the assorted flavors, you can visit the place by hiring a bus from Sham Alam or other places in Malaysia. The experience of seeing the world’s tallest buildings in Kuala Lumpur is simply amazing. If you are in Malaysia, then you must not skip this opportunity of live watching the magnanimous buildings. If possible, try to visit the place during dark hours. While travelling from Singapore to Kuala Lumpur or vice-a-versa, you can also have a glane over this masterpiece of architecture. Mount Kinabalu is the perfect place for the tourists. This year, you must plan a visit to Mount Kinabalu to explore the tremendous botanical and biological species biodiversity. The exotic place would make the nature lovers feel blessed & happy and would even give the chance to do mountaineering in the beautiful land. Now comes Malaysia’s most marvelous hill station that is renowned for its trails, where you can explore the insight of the nature. Several bus operators offer bus service from different destinations to reach this exotic place. You can hire bus from Butterworth and reach the place. While travelling in bus, you would also get the chance to explore the insights of Malaysia and see the beautiful land. These are some of the places in Malaysia, which are must to be visited in the year 2013. Plan your trip and include these attractions in your itinerary to enjoy the most of Malaysia.